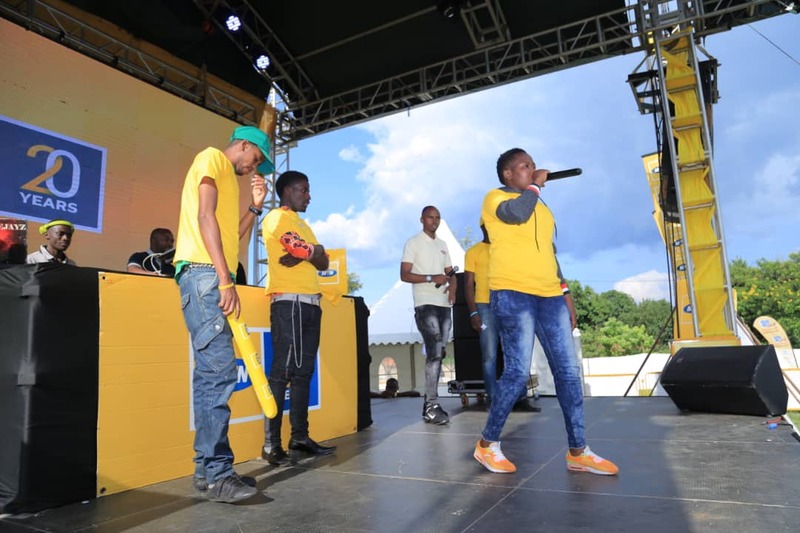 Singer Gravity Omutujju's performing at the MTN Expo in Fort Portal. 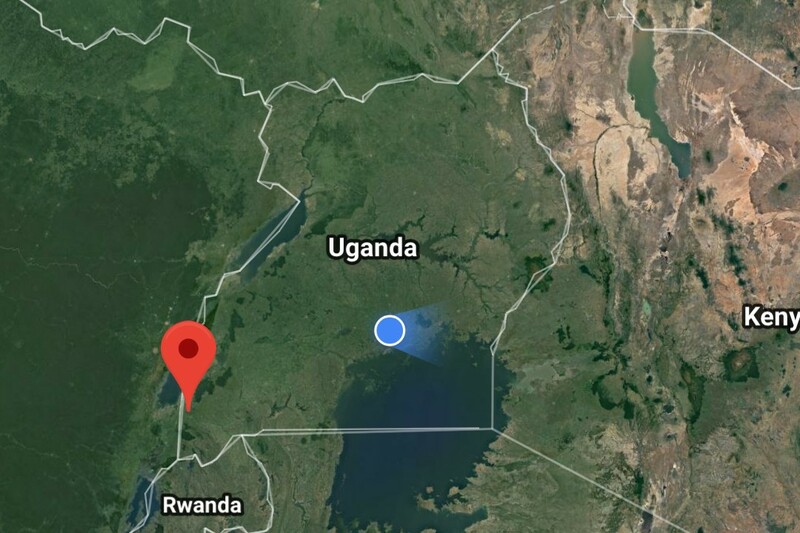 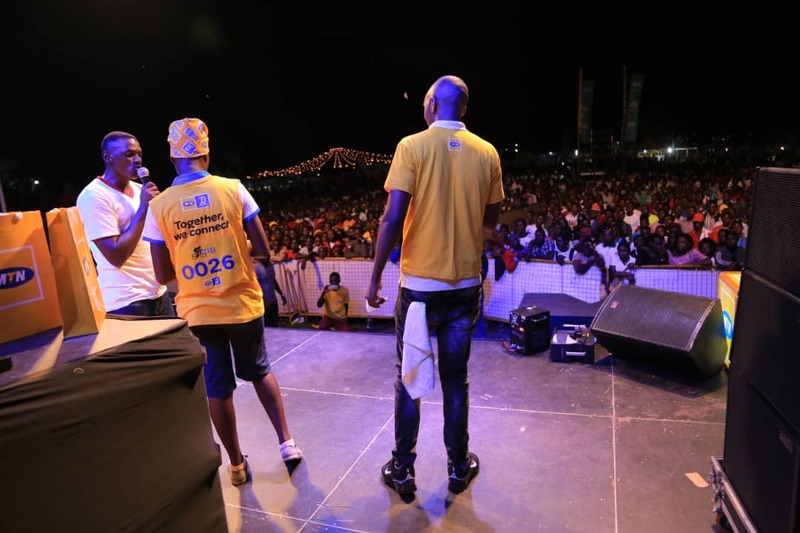 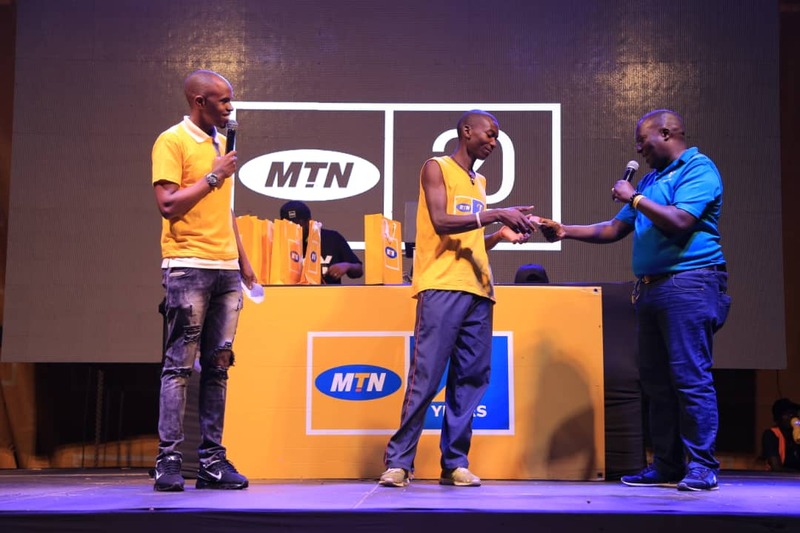 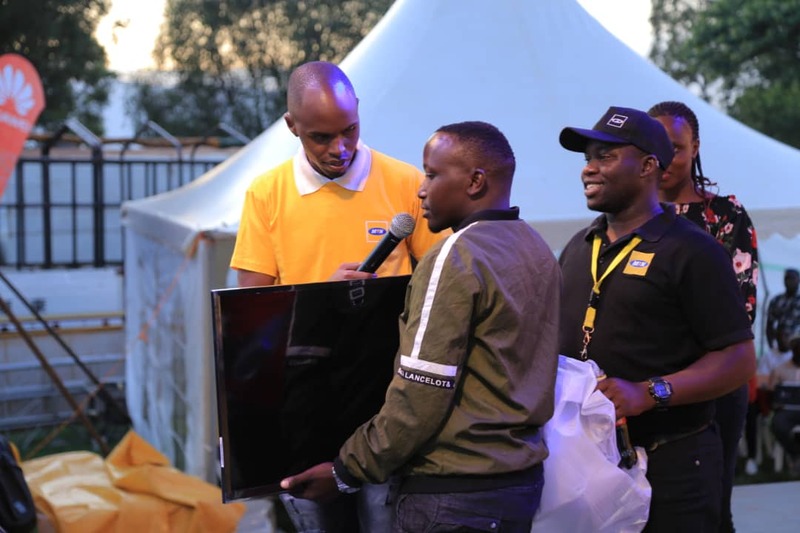 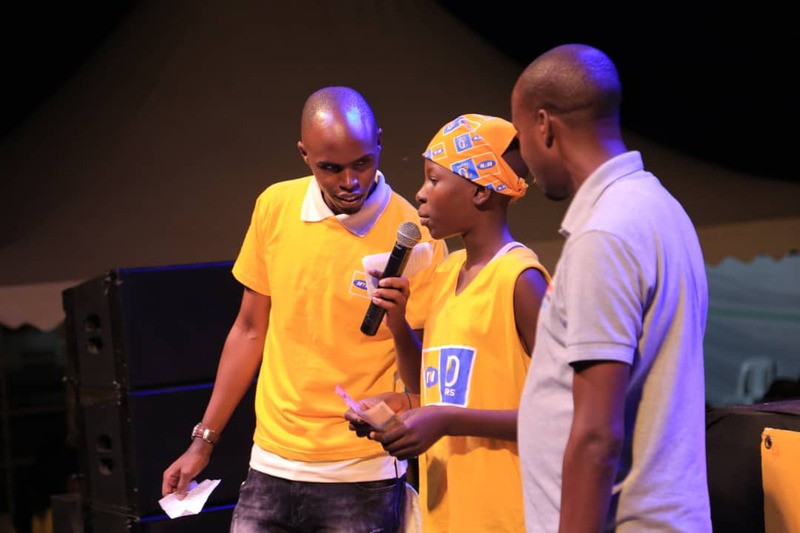 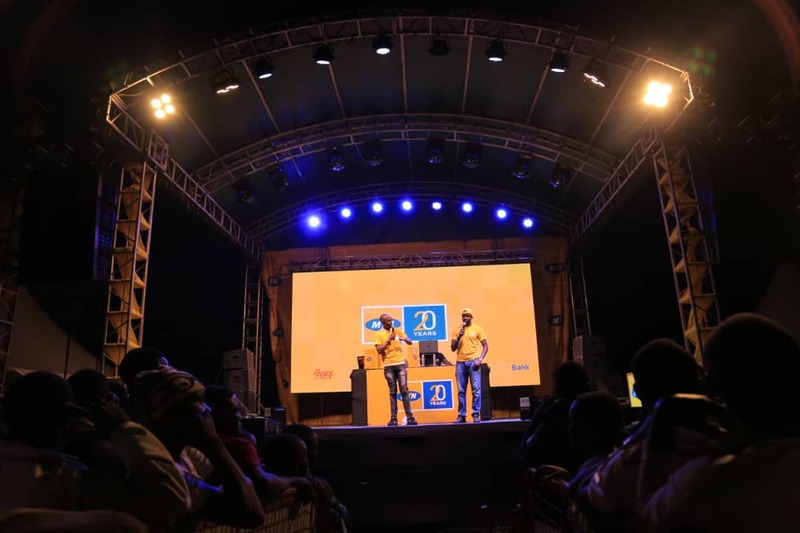 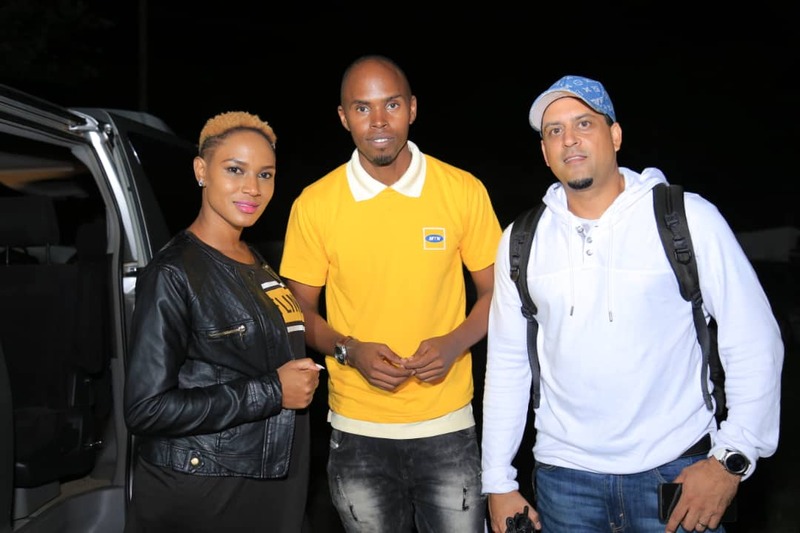 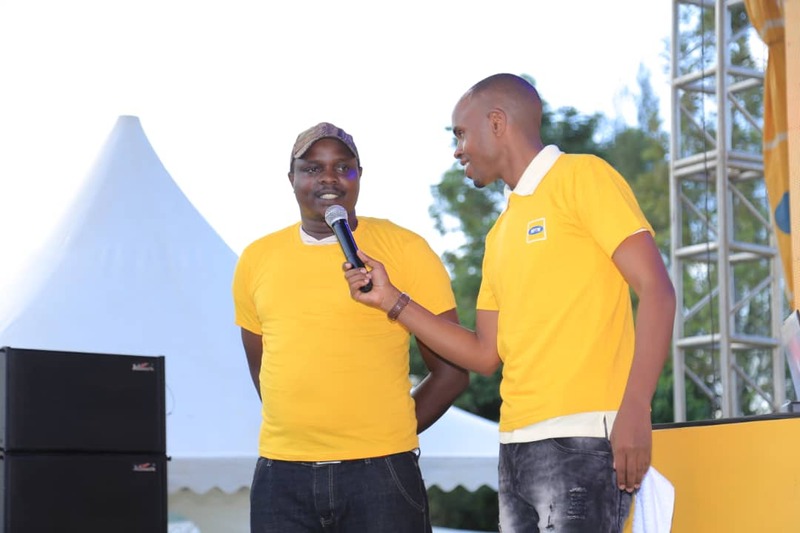 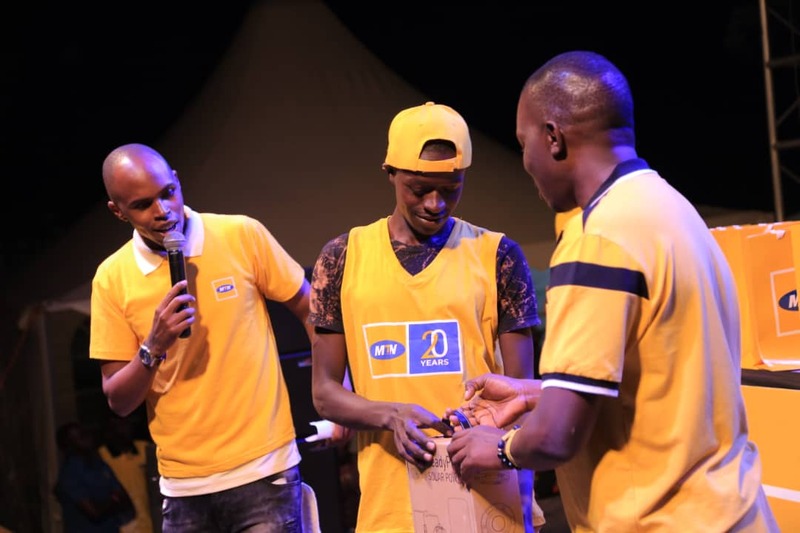 In recent months, MTN Uganda has been taking expos to different major towns across the country as the telco celebrates 20 years since it started operations. 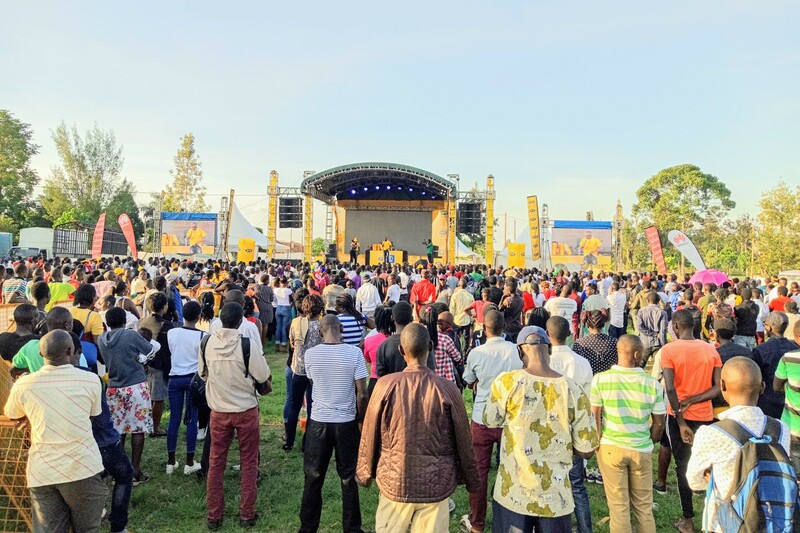 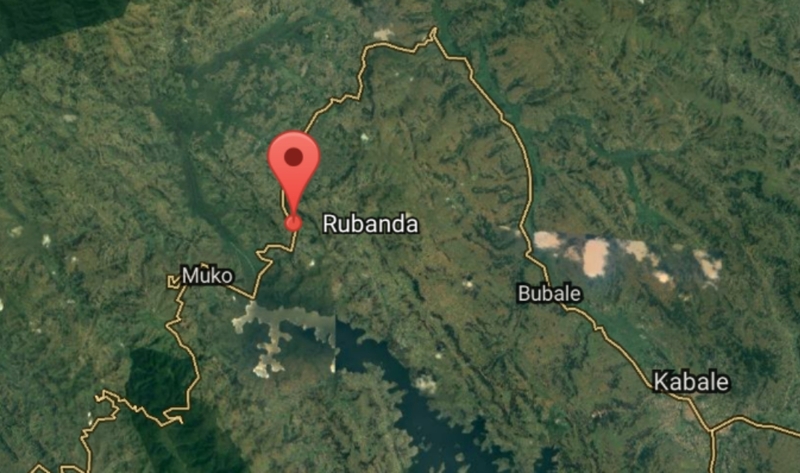 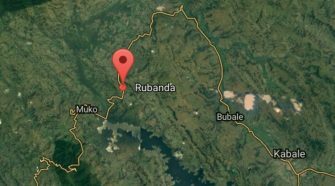 Last weekend, the expo which is characterized by cycling competitions, give aways, entertainment – music performances and product exhibitions, was at the Booma Grounds in Fort Portal. 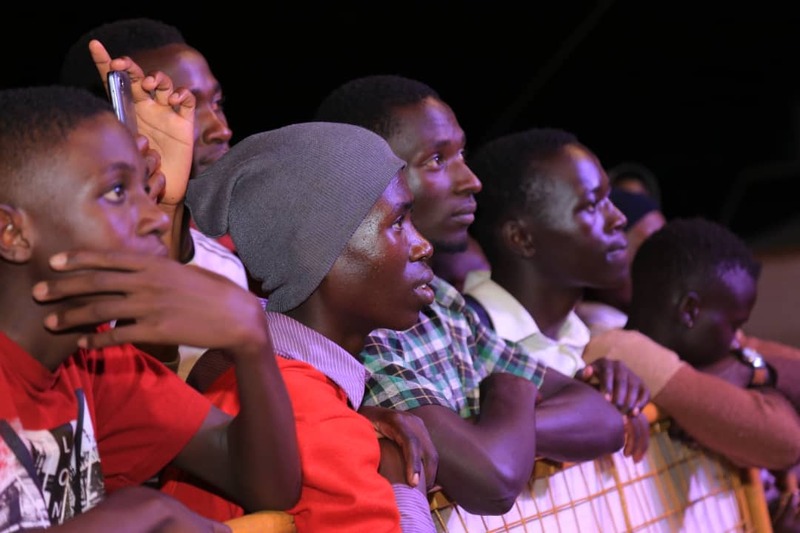 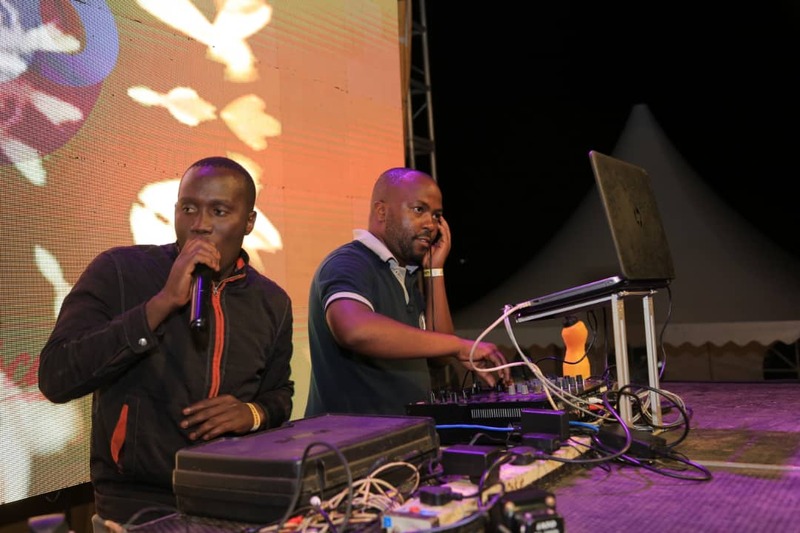 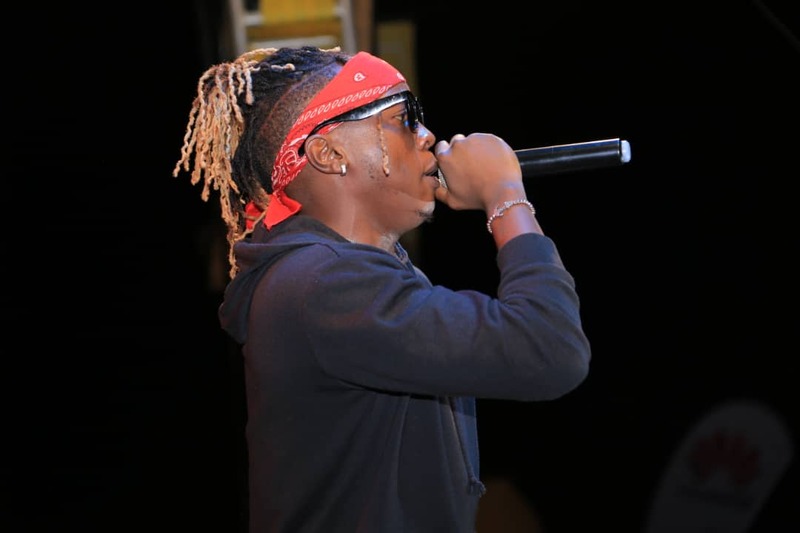 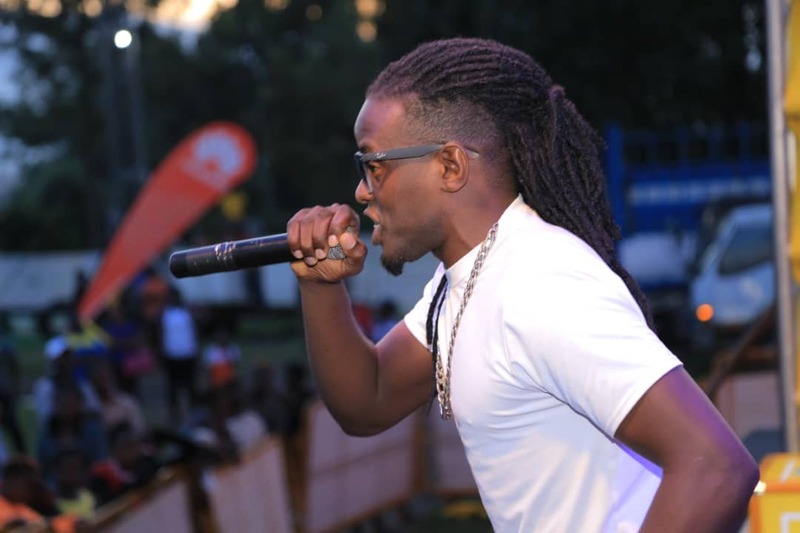 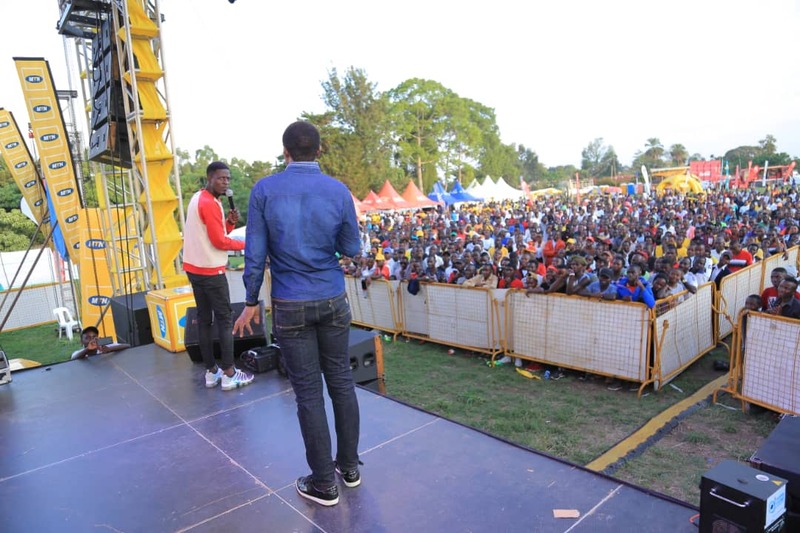 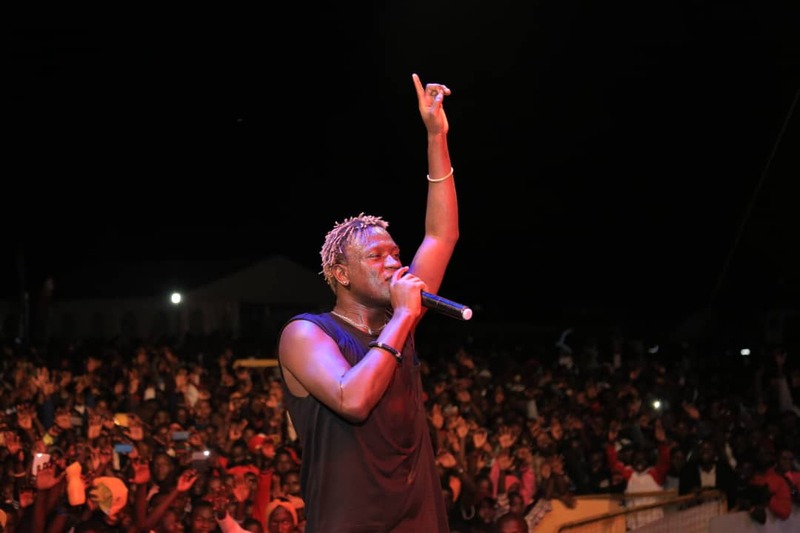 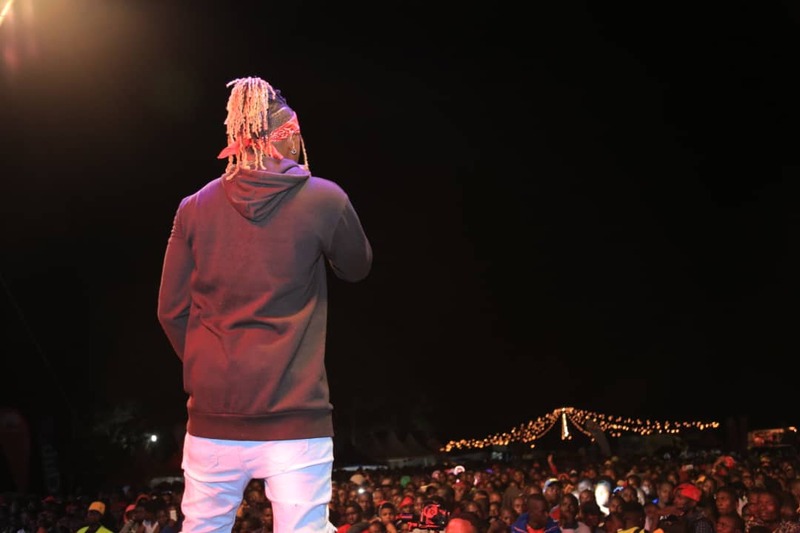 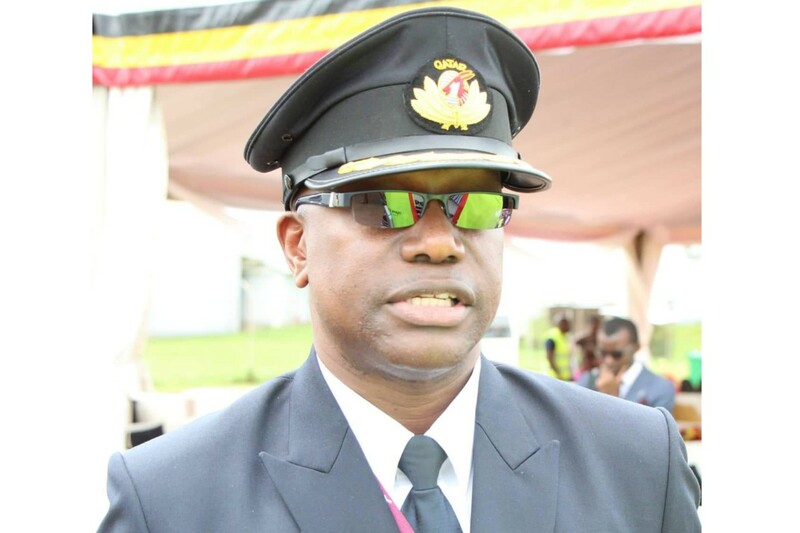 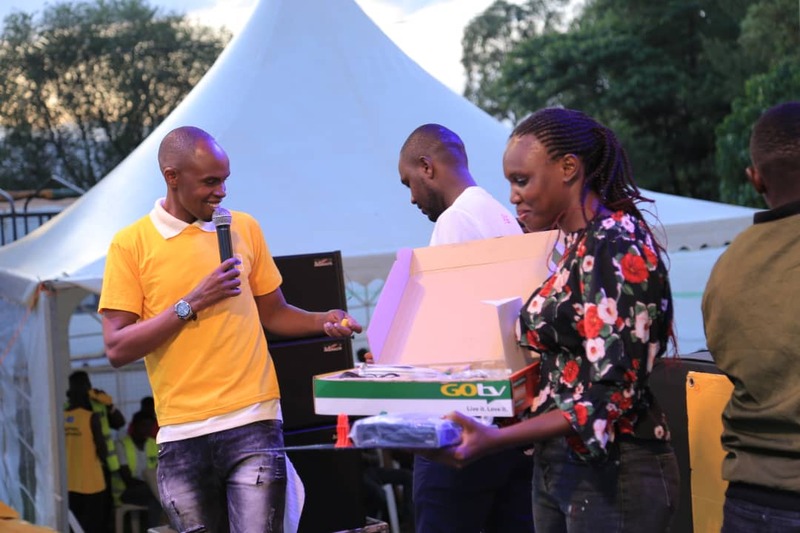 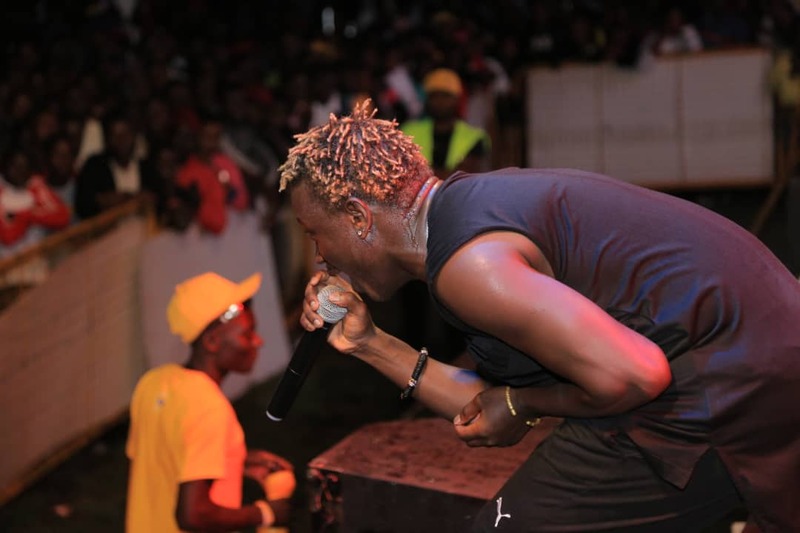 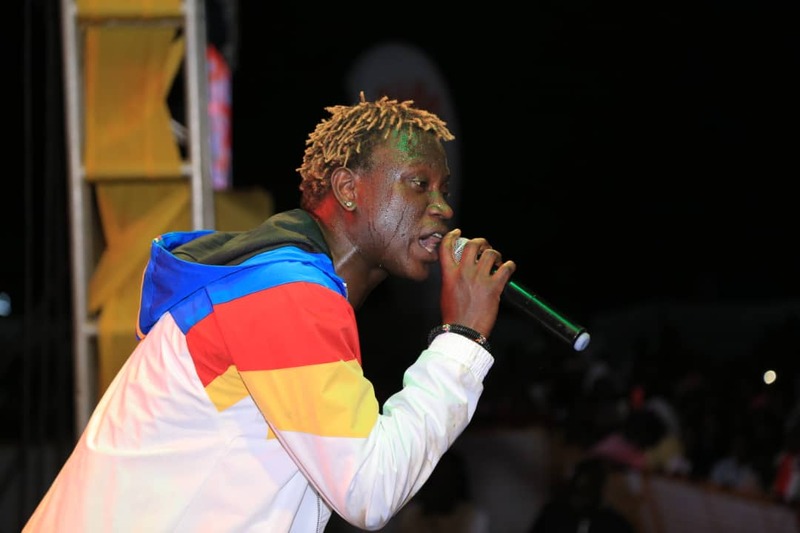 Co-hosted by comedian Alex Muhangi, the expo climaxed with performances from popular musicians including Sheebah and Beenie Gunter among other local musicians who took turns in entertaining the crowd. 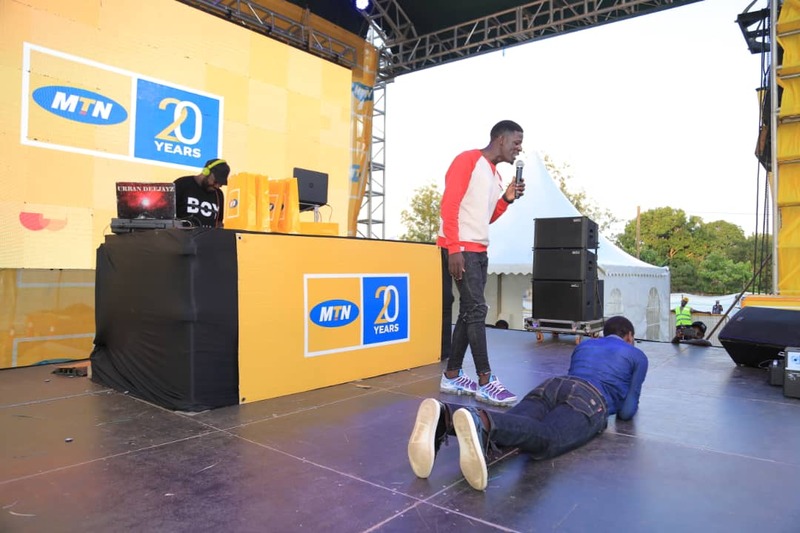 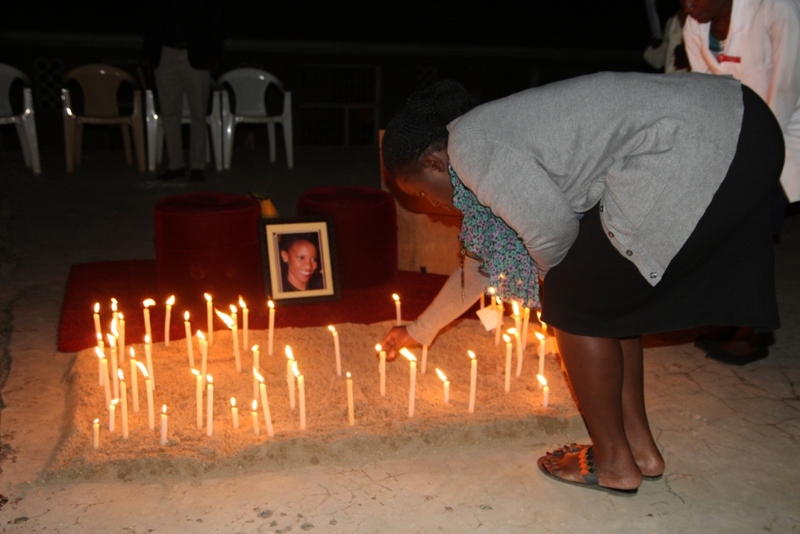 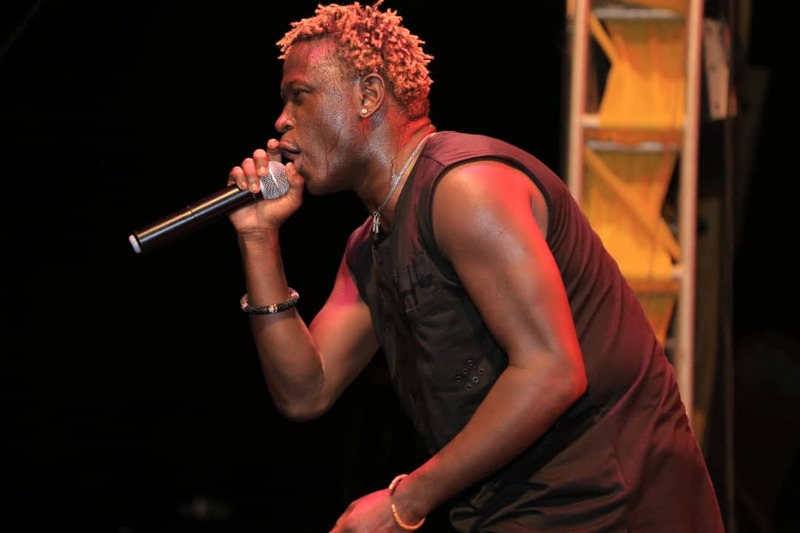 It was however Gravity Omutujju’s electric performance that made highlight of the evening. 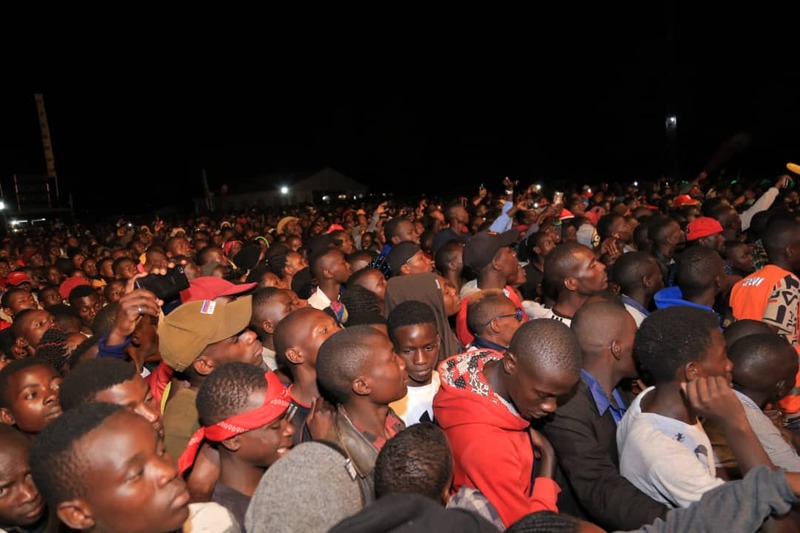 He was the headlining act and he delivered to the satisfaction of many, judging by the reception he got from revelers. 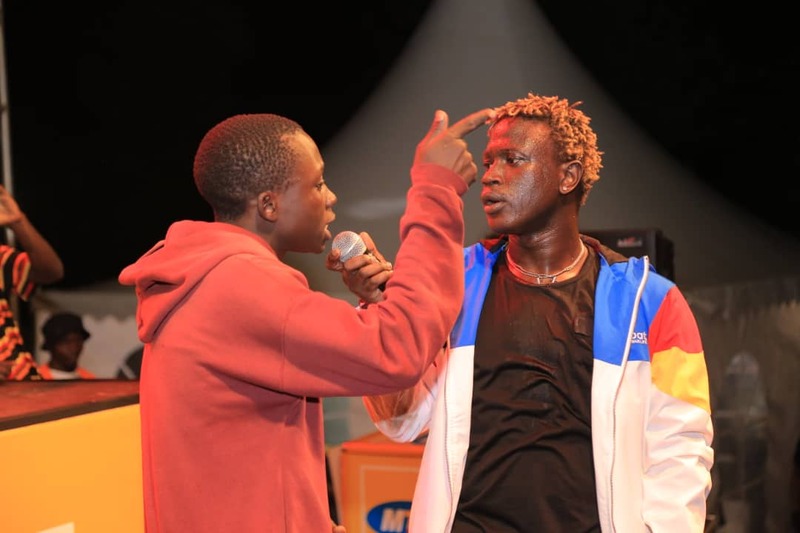 A die-hard fan who chanced at joining the singer on stage won himself a souvenir (Gravity’s jacket) after he proved that he could sing his lyrics word-for-word. 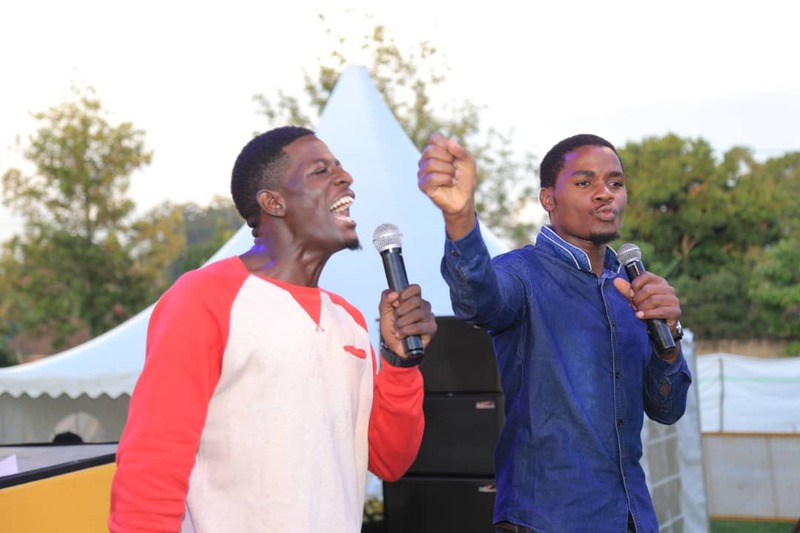 Rising comics Maulana and Reign from Kampala we’re also part of the line up. 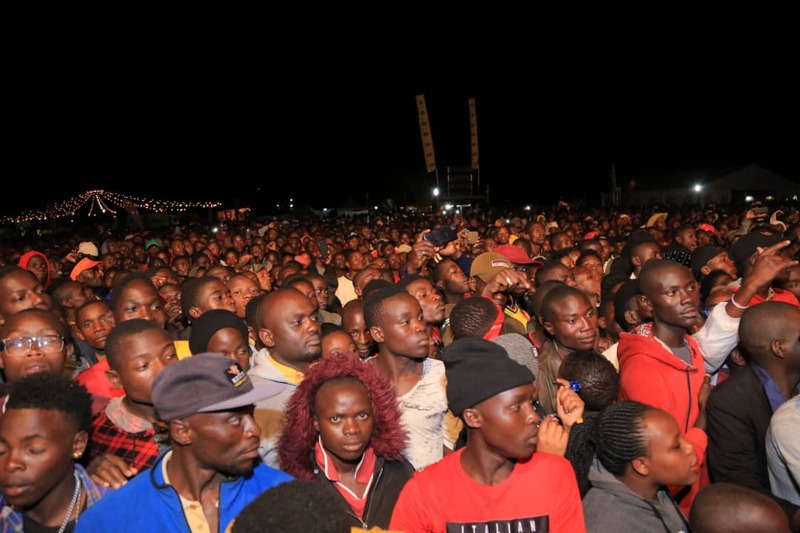 As part of the merry making, the evening was also characterized by a showcase of fire works. 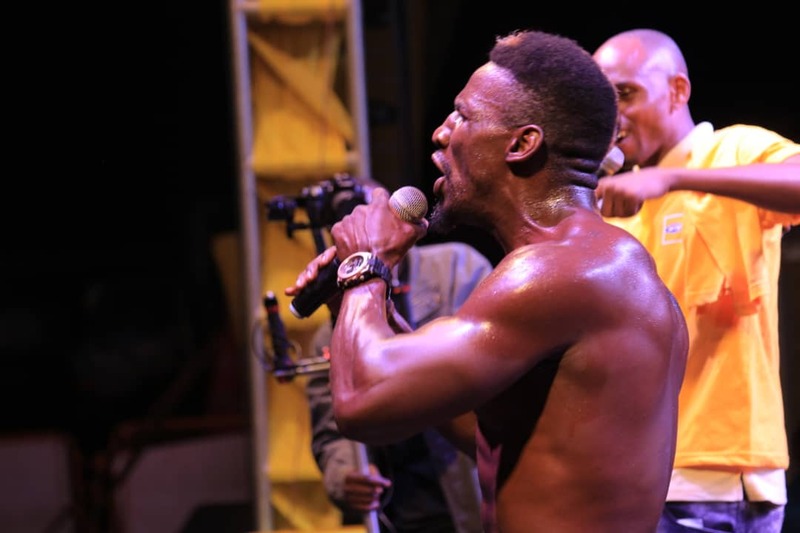 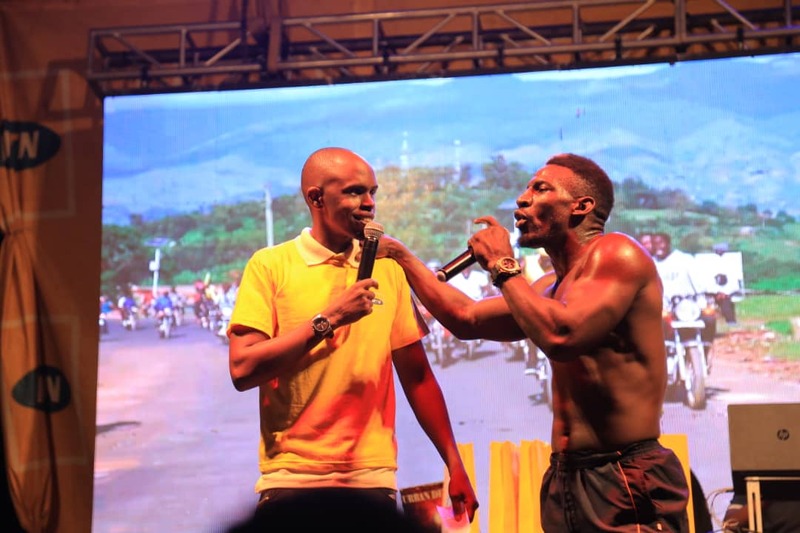 Kickboxing champion, Moses Golola too kept the crowd laughing with his hilarious self-praising statements as well as his energetic dance routines.